Ole Gunnar Solskjaer was confirmed as Man Utd’s permanent manager on Thursday, and TV2 Sport in Norway were pretty creative with how they broke the news. 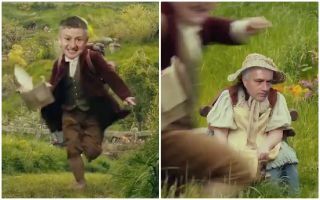 As seen in the video below, they came up with a genius parody from Lord of the Rings with Solskjaer depicting Bilbo Baggins and chasing after Gandalf, or should we say Sir Alex Ferguson. There are guest appearances from the likes of Jose Mourinho, Paul Ince and Paul Pogba, and it has certainly gone viral with over 800,000 views on Twitter. Naturally, there was a lot of excitement and optimism after the news was confirmed, with Solskjaer leading Man Utd to 14 wins in his 19 games in charge as interim boss. However, now he must prove that he can deliver a successful long-term plan, and with the international break over, it all starts with securing a top-four finish in the Premier League this season. United will look to get back to winning ways against Watford at Old Trafford on Saturday afternoon, as they look to bounce back following back-to-back defeats to Arsenal and Wolves prior to the break.